Pioneering circus in the "new circus" trend, Plume is invites us to the dream and poetry of his new creation, "Mélanges"
With each creation, it is the same. Before setting off on tour, the Cirque Plume gives a free performance of its work in Salins-les-Bains, the little town which welcomes them each time, and also without payment, for three months - the time needed for rehearsals. This year, as for the times, the ritual was respected. That was some weeks ago. Today it is with a long stop-over in Paris that the Cirque Plume is beginning its tour, at the big-top area of La Villette, the Mecca of circuses in France.  And on the bill is one of its, richest, purest, warmest and most beautiful shows: Mélanges. No story, a priori, but a character (an angel of No Fixed Abode, astray on the earth) as a pretext for encounters of all sorts and types in "new circus" mode, without animals or strass. The only things that count are the poetry and gracefulness in the confrontations between the artists, with a complicity that goes beyond the generation gap. The oldest is Bernard Kudlak, just 45, juggler, stage director, and joint director with his brother Pierre (high-flying musician with a ring-master style moustache) of the Cirque Plume which they founded together (16 years ago already) along with a bunch of friends, some of whom are still present - such as Michèle Faivre and Brigitte Sepaser, delicious singer-musicians, who together with Heather Joyce, make up a remarkable trio, something in between the "three graces" and the witches in Macbeth; or yet again Jean-Marie Jacquet, musician and conjuror who, in a unique moment of the show takes to the air on a double-bass in the way some do on broomsticks... The youngest is Sophie Mandoux, the trapeze artist who is barely 21 and quite new to the troupe as are Séverine Allarousse the dancer, Sébastien Brun the acrobat and Iris, the crazy Basque juggler who is equally amazing when he is rolling balls over his smooth face or making hats dance on his bald pate in a remarkable tango with the woman - Heather Joyce. Under their charm, what might be but a series of more or less successful circus acts, acquires an air of permanent enchantment. It is dreamlike. Imaginative and funny too, when a broom turns into a gymnastics bar. Within the big-top, on the traditional stage which replaces the circus ring, images, sounds and circus acts merge and blend. Images, other than the double-bass moving skyward, such as the play of shadows behind the white drape, the bicycle crossing the big-top above the heads of the audience. The sounds are those of a music, popular yet sophisticated in its rock ’n’roll rhythms, accordion waltzes and so on, or yet again in the incongruous little melody with cellular phones! The circus acts include balancing on the trampoline, or the impeccable roller-skating stunts of Bonaventure Gacon, a promising young man of 25, rich in talent. He is the "Angel" with the white feathers that get lost around the place. Dishevelled hair and beard, but a beautiful candour expressed in his eyes melting with a tenderness you wish would never end.